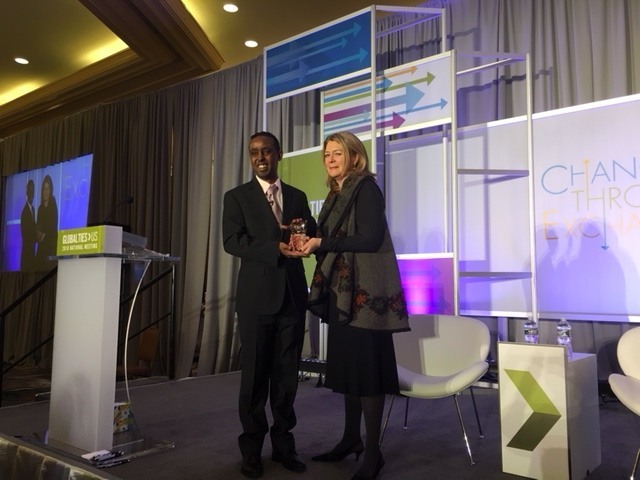 Congratulations to program partner Mohamed Amin Ahmed of Average Mohamed, who received the 2018 Citizen Diplomat award at the Global Ties U.S. national meeting in Washington, D.C. Through his Average Mohamed cartoon series, Mohamed works to counter extremist media messaging and frequently shares his outreach strategies with international visitors who come to Minnesota through our Professional Exchanges program. We are proud to call Mohamed our partner and share his commitment to engage the world in meaningful dialogue.